What's better: an authoritative answer or both sides? 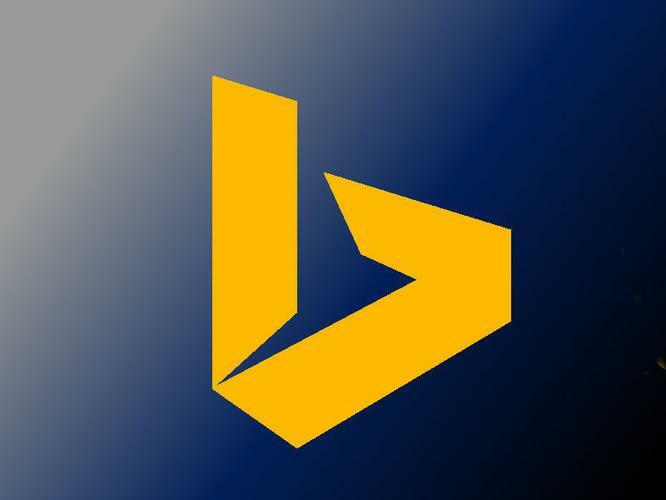 Microsoft's making its decision for the right reasons, but it seems likely the Bing algorithm will be gamed. On Wednesday, Microsoft told a roomful of journalists that, on Bing, “alternative facts” would be considered the equivalent of the Washington Post. Sure, that’s just my opinion. But that’s also the new approach that Bing’s rolling out over the next week: striking out beyond facts into a brave new world in which opinions matter, too. Eventually, Bing will respond to certain questions with answers that represent both sides of an issue, not just a list of search results. One of those new voices will be Reddit, a popular online community with millions of contributors. You can probably imagine a scenario where two opinions—one for, one against—would be rather useful: Is the new Star Wars movie any good? What’s better, Android or iOS? Even more factual questions, such as whether cholesterol is good for you, might have some useful arguments on either side. But beyond that, the waters grow deep and dark, and Bing must tread carefully. Microsoft’s AI chief, Harry Shum, announces the partnership between Microsoft and Reddit. 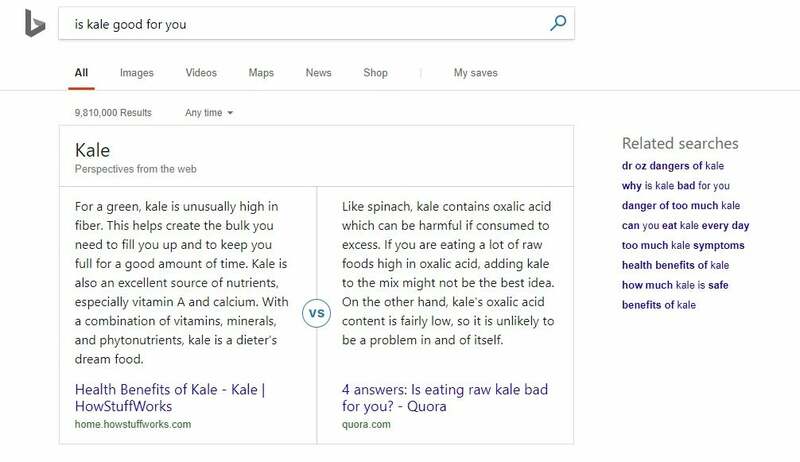 Kristina Behr, a partner design and planning manager for Microsoft’s AI division, chose perhaps the most innocuous search query possible when demonstrating Bing’s new approach: “Is kale good for you?” “So I don’t have to live in a bubble where everything about kale is amazing,” is how she explained her choice. Unfortunately, she didn’t explain how Bing would handle thornier fundamental questions like “Is God real?” (In Bing’s current search results, God is.) In this case, Microsoft probably has a leg to stand on: Atheists deny God’s existence, Christians are certain God exists. No one truly knows, so Microsoft is off the hook by providing both viewpoints. Bing’s pro- and con- perspectives are going live over the next week, though you can get a sneak peek right now. The source of the argument against is a research chemist, who contributed an answer to Quora that received a whopping total of 2 upvotes. But you won't know that until you dig down into the site. “Authoritative is the key word, and it’s not exactly an easy signal to find,” Ribas said. Microsoft’s set certain criteria for determining authority. If a site’s full of pop-up ads, for instance, Microsoft’s search algorithms will interpret that as a spam site, and rank it lower. But sites referenced by other, authoritative sites will themselves rise in the rankings, and stand a better chance of being listed as a voice for one side or the other. 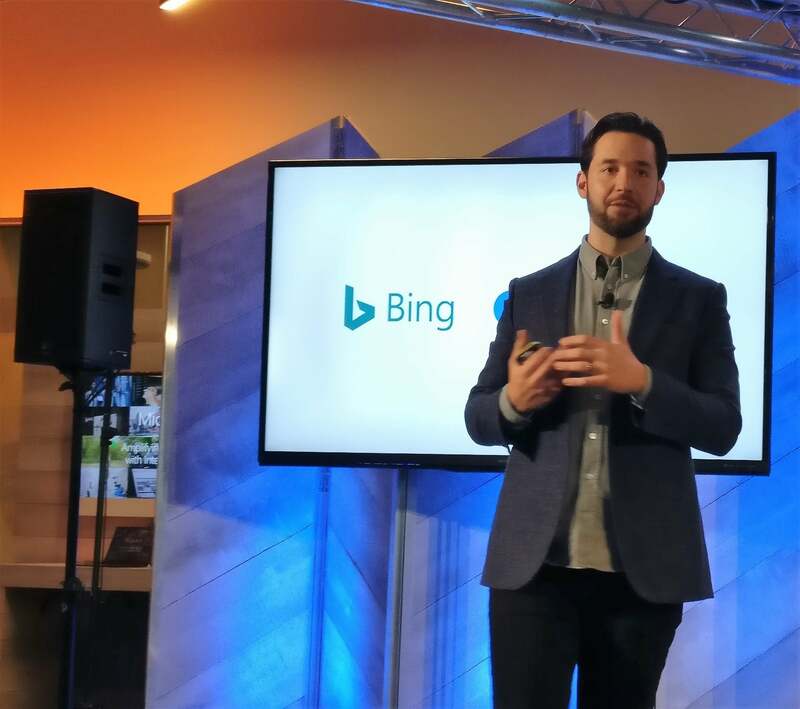 Reddit co-founder Alexis Ohanian explains what the partnership between Reddit and Microsoft Bing will mean. “We are going to be using some of that technology itself on Reddit, as well as the moderation of the community themselves,” Ribas said. That sounds like a plan, but given the reality of Reddit, it’s hard to see how it would work. Reddit, which describes itself as the “front page of the Internet,” boasts 330 million active users, who collectively make 10.7 million new posts per month, with an additional 2.8 million more comments attached daily, according to co-founder Alexis Ohanian. All of these comments will be slurped up by Microsoft’s Bing algorithm, which will effectively elevate “trending” comments to the top of a Bing user’s search page. 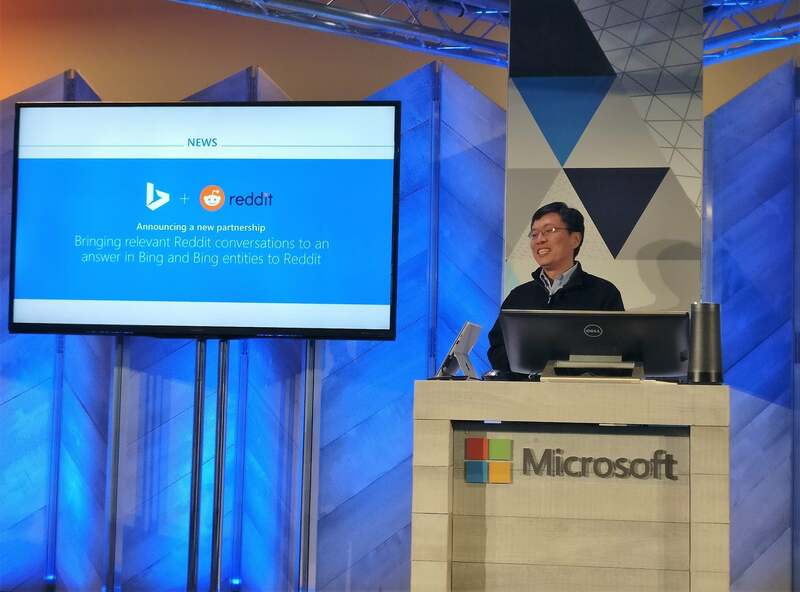 Likewise, Bing users whose queries are best answered with relevant Reddit conversations will see those conversations at the top of the page, Reddit said. For every Reddit post and comment, users receive either “upvotes” or “downvotes,’ raising or lowering the relative importance of the comment or post. But users can upvote or downvote for any reason—the response might be truly insightful, but it could be also off-topic but funny, or continue one of the site’s many memes and in-jokes. Responses by the original poster also tend to receive upvotes, regardless of whether the content is relevant. And hardly any Reddit user publishes information under his or her real name, making the determination of who is an authority on a subject that much more difficult. In other words, there’s no rhyme or reason to what garners a successful post or comment, and therefore what posts or comments will make their way to Bing. Microsoft’s Ribas admitted that upvotes will be one of the key ways of determining authority—probably because there’s not an easy way to tell whether a user is actively informing the user, or merely messing with them. Put another way, it seems that Microsoft’s strategy is to conflate popularity with accuracy—with no way to really determine if Bing is providing fact, or opinion. Still, Reddit’s Ohanian believes the fact that real people are upvoting and circulating comments and news separates the site from Facebook, which uses an algorithm (and, in some cases, paid promotion) to disseminate posts. “The way news spreads on Reddit requires a lot more people to say, yeah, this is okay,” Ohanian said in an interview. 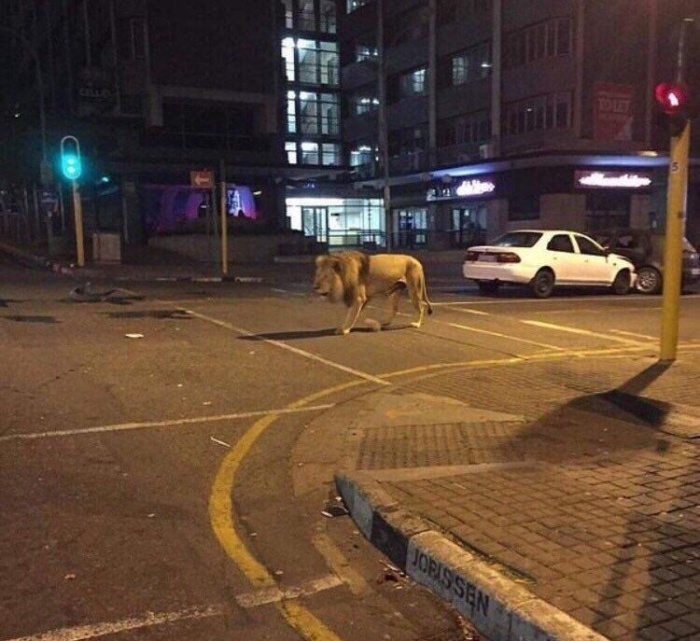 Mischievous posters in Reddit’s South Africa subreddit posted this photo in an attempt “so that foreigners see this picture when they Google South Africa”. Even if a commenter posts incorrect information—which is then erroneously upvoted by the community to promote it, “on the grand scale of Reddit content, it’s not widely seen,” Ohanian said. Ohanian also said that Reddit has an “anti-evil” team actively fighting notorious subreddits like r/the_donald that promote fictions like President Obama’s Muslim heritage. Finally, there’s an editorial process of sorts that helps filter questions through the correct subreddit, Ohanian and Allie Mack, a spokeswoman for Reddit, added. Queries like “which NFL team has the best fans” aren’t filtered through the subreddit devoted to the Seattle Seahawks. On Microsoft’s side, though, there is no editorial oversight in place. “It’s all driven algorithmically, because otherwise it would not scale,” Ribas said of Bing’s methodology. Microsoft will apply filters, though, so if a user turns on an “adult” filter to screen R-rated content, Bing will apply those filters to its results, Ribas added. 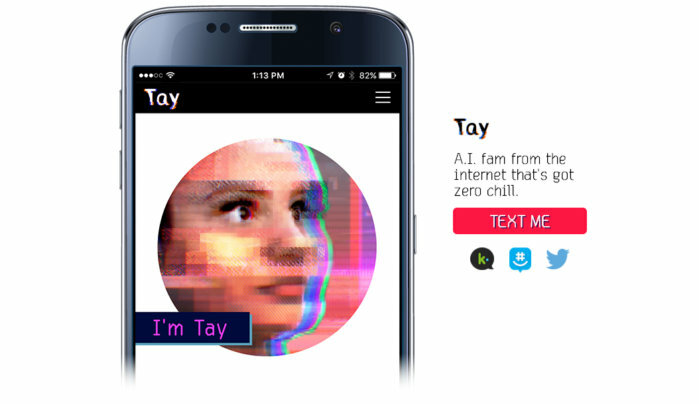 Microsoft’s biggest AI flop was Tay.ai, a chatbot that was turned into a tool for racist hatred. Still, even if Microsoft and Reddit were able to police their content, it wouldn’t save automated processes from being gamed. In 2016, for example, Microsoft’s Tay.ai chatbot was essentially brainwashed into becoming a tool of the radical right. (Its successors, Zo and XiaoIce, have so far avoided that trap.) Reddit has struggled to put down armies of bots and other users who have tried to elevate posts from The_Donald and other ultra-right-wing sites to its front page, where they would be seen by many more people. What’s even more troubling, though, is the history of various Reddit subreddits deliberately trying to game search engines. Posts like “Lets upvote this so that foreigners see this picture when they Google South Africa,” may be innocuous enough, but others, like this attempt to link a photo of Hillary Clinton to the search term “liar,” could help influence an election. (Wouldn’t Bing just filter this out? If searching for ”full movie” still turns up pirated movies on YouTube, maybe not.) Given that ”fake news” on Facebook is already being blamed for influencing the 2016 Presidential election, it’s possible the same mechanisms could be applied to Bing during the upcoming midterm elections. How, indeed? 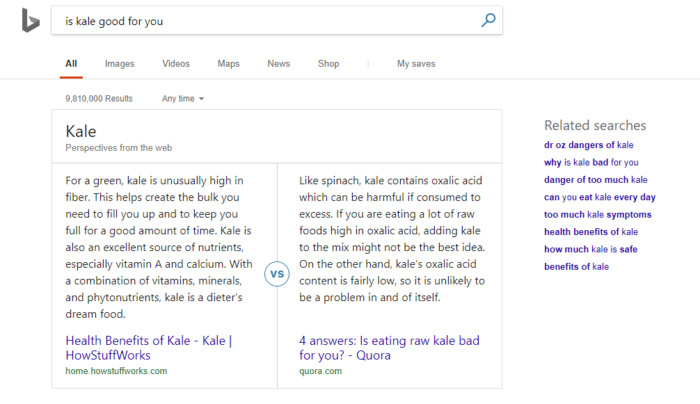 As Microsoft and Bing roll out the new search experience, Microsoft may pull it off. But in a world where “fake news” is already blurring fact with opinion, would we really want a search engine conflating the two?